Remedial massage is a deep tissue massage applied to create the optimum conditions for the body’s return to normal health post injury. It is applied to treat strains, sprains, broken bones, bruising, any injury where the skin is intact. Remedial massage removes blockages, damaged cells, scar tissue and adhesions left after injury, speeds up recovery and encourages more complete healing. Remedial massage is effective for conditions created by lifestyle, for example, repetitive strain injury and back pain. Remedial massage has particular success with long-standing back and compound injuries that have resisted previous treatment attempts. 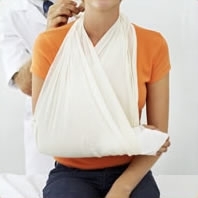 Once a serious injury is healed, further treatment is only needed if another injury is sustained. Sportsmen and women attend regularly to ensure that unnoticeably small injuries are treated before they reduce performance and become debilitating. To find out more about Remedial Massage Carlton or to enquire about any of our treatments, contact us at the clinic on (03) 8354 8792 or email us on remedy@melbourneclinicalmasseurs.com.au.